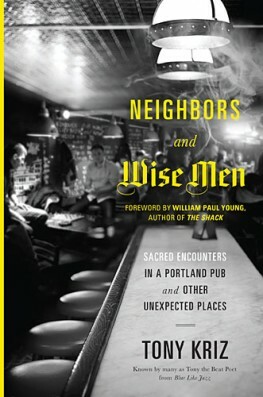 I’m blogging my way through Neighbors and Wisemen for Lent. Today we are on chpt. 11. Tony has an amazing conversation with a wise women and this causes him to reflect on his initial evangelism training. The training centered around getting people to be 100% sure that they were going to heaven. Tony and I come out of much the same background it turns out and so I had quite a few moments where I smirked in solidarity. Here are two conversations that I think it is important for us to have when we talk about faith. Experience – I have said before that I have bought into a school of thought that says our words and religious stories not only help us interpret our experiences, but they also help create those experiences at some level. Our religious vocabularies and narratives are powerful. They give us frameworks for processing our experiences and lenses for interpreting them. or ‘that’s not what I think happened – that is what happened. Another variation to this can be ‘I’m not doing anything with the information … my opinion about you is true’. So you can imagine how big of a leap it is for someone who doesn’t even think that we interpret our experiences to hear that our religious vocabularies might actually create those experiences. Think of Tony is the period of being spiritually dry, alone and wandering. How would he have framed that if he didn’t have some reference point for ‘dessert experiences’. What would he have done with his doubt if he didn’t have ‘doubting Thomas’ in the back of his head. I’m suggesting that this women’s wisdom came not only out of her experience but out of her religious tradition. Her reaction was not simply a matter of an alternative interpretation … it was created by having a different set of tools in her workshop. Epistemology- There are some fun words that I have learned over the last 7 years that I had never used before. In my travels I have gotten to talk to lots of people and it turns out that most of them have not heard of these words either. By far, the most important of these fun words is epistemology. It basically means “how you know what you know”. We live in an age when reason and logic are supposed to have the last word. The problem is that the former kings of the hill – revelation and experience – are still around. As people of faith we are often caught up in a tug of war between these 3 tyrants. When you add in things like greed, insecurity, fear, desire and preservation it just gets all out of sorts. Let me ask you this question: how do you know what you know? It is fascinating to think about. I keep thinking about Tony (and my) season of spiritual dryness [which I talked about previously] and wondering if part of it was our epistemology. When your ‘way of knowing’ is so dependent on an internal experience … with human frailty and fallibility being the way they are … is it just bound to happened? What do you think about this idea of vocab creating experiences? Do you find the word epistemology helpful for this conversation?